Home FUBAR Trump’s border wall: More failure? Trump’s border wall: More failure? 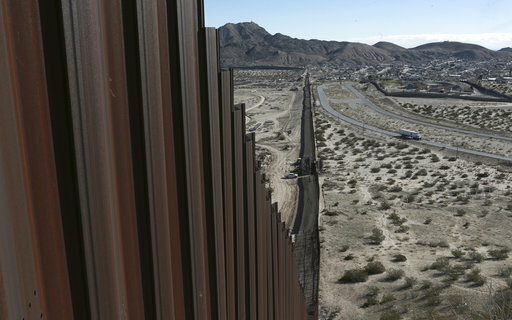 President Donald Trump has now laid out exactly what he wants in the “big, beautiful wall” that he’s promised to build on the U.S.-Mexico border. But his effort to build a huge barrier to those attempting to enter the U.S. illegally faces impediments of its own. Nearly all of the land along the Texas border is privately held — much of it by people whose families have been in the region for generations — and buying their land won’t be easy, as Presidents George W. Bush and Barack Obama discovered. Lawyers for both administrations fought in court with private landowners. Obama’s efforts to buy privately held land in the Rio Grande Valley have carried over into Trump’s term. Maybe they should just build two chain link fences with cameras. At least then they can see what people are doing on the other side. There are hundreds of miles with no fence at all: You can drive on off road vehicle right across!